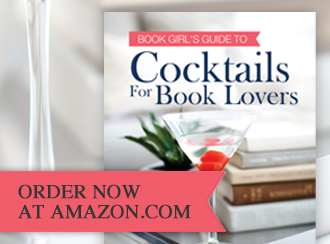 Thanks to all those readers who made Cocktails for Book Lovers an Amazon best-seller! 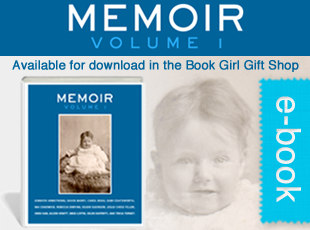 Part memoir, part fiction, this moving, uplifting collection of seven linked short stories begins with ‘When Janice Bailey Walked’, an award-winning story first published in the Connecticut Review. It continues with six more stories, as told by the residents of Number 17, London Road, thus illuminating a little-known side of the most beautiful city in Europe. In seven short stories, residents of a London boardinghouse reach moments of clarity. On London Road, lined with scruffy shops, stands No. 17, a detached red-brick Victorian that’s been turned into a boardinghouse. Its residents tend toward hard luck and desperation: Janice is just out of prison; Mandy is on probation; Bitty has a good education, but is scarred by her mother’s frequent abandonments; and Isobel is mentally unstable. Nora, the landlady, writes romance novels but has experienced little romance herself, and her daughter, Anna, is disgusted by Isobel’s outbursts. Their interconnected stories take place on a day of unusually hot weather, and focus on one resident at a time, with Janice’s story told in two parts. In each, characters have a chance to make a leap of faith in other people, or in the future. In “The Walls of Buckingham Palace,” for example, Nora—who adores the queen—reflects on an uneasy encounter with Len, her local pub’s new landlord, who drank too much and frightened her off: “But every night since, her sleep had been disturbed by longings she thought had long since been vanquished.” It takes queenlike courage for her to return to the pub, where she finds that Len is apologetic, sincere, and kind. Pointing to a framed photograph of the queen, he remarks, “You remind me of her, you do”; nothing, of course, could better gain her trust and win her over. Though spare and fast-paced, McGovern’s (Cocktails for Book Lovers, 2014, etc.) tales evoke entire biographies. She focuses on illuminative details and subtle, turning-point moments, as when Mandy, a young woman on probation, reacts to her mandatory book group’s reading of Katherine Mansfield’s 1922 short story “The Garden Party.” It stokes her resentment, as she doesn’t even know if people still give garden parties. Mandy makes plans to shoplift again, but something about the book group leader’s hopefulness and the invitation to give her honest opinion sparks her determination to win—maybe a literary argument, or maybe more chocolate wafers. 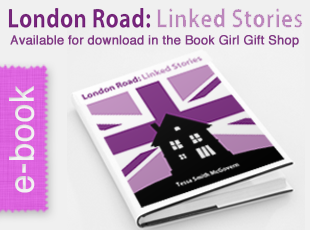 “The short shorts in Tessa Smith McGovern’s collection London Road: Linked Stories really are made to fit within the palm of your hand — her delightful and fresh stories are available as apps for your phone or can be converted for your e-reader. Click to read FREE through Kindle Unlimited on Amazon.com. Thanks to all those readers who made London Road: Linked Stories an Amazon best-seller!